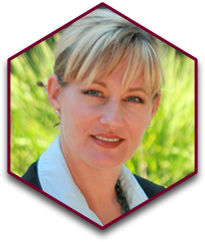 Cynthia Stratton specializes in civil litigation, with an emphasis in assisting victims of wrongful termination, harassment and discrimination and assisting organizations prevent litigation through statutory and regulatory training, the creation of policy and procedure manuals and management coaching. Ms. Stratton also represents clients suffering from personal injuries and requiring assistance with business related matters. Ms. Stratton is active in the community. She supports and participates in several local charities and has a special commitment to those charities, that provide aid to the elderly, promote women’s rights and aid young children. Ms. Stratton continues to satisfy her desire to assist those in need through her participation as General Counsel for Meals on Wheels of the Greater San Diego Area and as a Vice President of the Parent Teacher Organization at La Jolla Elementary School. She further serves her community by volunteering as a Small Claims Court Judge, hearing all matters subject to the jurisdiction.